A global health expert from Queen Margaret University (QMU), Edinburgh has joined forces with some of the world’s top academics to help children and young people affected by conflict in Syria. Professor Alastair Ager, Director of the Institute for Global Health & Development (IGHD) at QMU, has teamed up with researchers at Yale University in the USA and universities in Canada and Jordan, to assess the impact of conflict on young Syrian refugees and their ability to overcome adversity. Over five million people have been forced to flee the six-year conflict in Syria, and over 650,000 Syrians are now rebuilding their lives in neighbouring Jordan. Building resilience in people affected by war is a priority for humanitarian workers, but until now, there was no way to assess how young refugees in the Middle East are managing to cope over time. The researchers, in partnership with humanitarian organisations, have now designed and tested a culturally relevant tool in English and Arabic languages to help address this issue. Over six hundred 11 to 18-year-old boys and girls were interviewed as part of the study, including refugees and non-refugees living in five towns near the Syrian-Jordanian border. Researchers found that boys and girls placed a different emphasis on the importance of family support, participation in religious activities, and education as a gateway to the future. 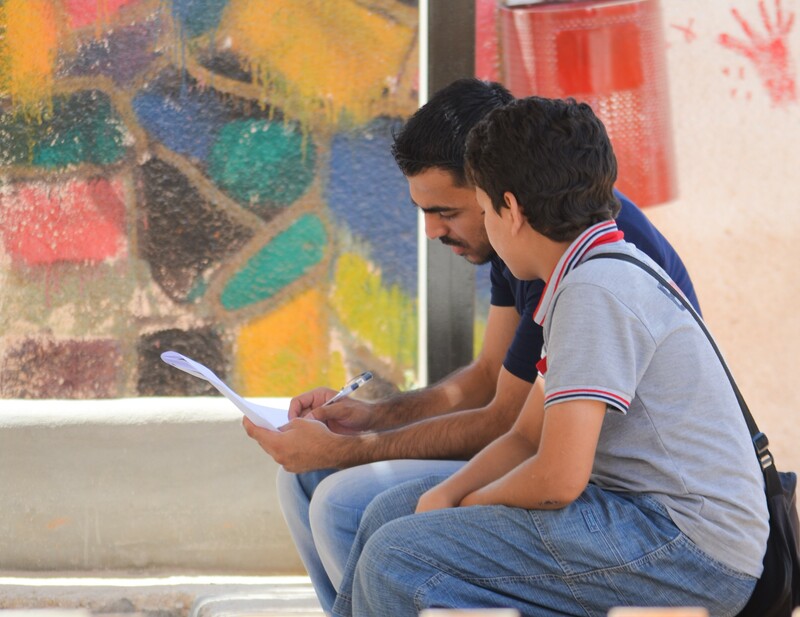 Whilst Jordanians identified role models as important to resilience, young Syrian refugees drew strength from overcoming their traumatic experiences, feeling re-settled, sustaining ambition, and believing that formal education was still important. For all these young people, reliance on family ties was paramount, more so than relationships with peers. This survey will now help researchers and service providers help young refugees in the Middle East to cope with adversity in areas of conflict more effectively. QMU’s Professor Alastair Ager is a co-investigator on the study. He said: “We’re extremely proud to be working with academic and humanitarian partners across the globe to help strengthen the resilience of young refugees in the Middle East. “Rigorous evaluation of the effectiveness of humanitarian programmes is a vital task if aid funds are to be invested wisely. Measures like this are a crucial contribution to verifying that aid really makes a difference in the lives of young refugees and their families”.